Originally a Charlesworth bodied saloon built in 1939, it had rusted badly and many parts were removed to provide spares for other cars. Eventually it was rebodied by a coachbuilder in South Wales. 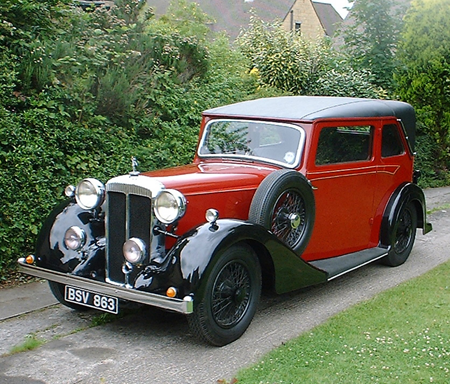 The powerful 21/2 litre engine allied to the lightweight aluminium body allowed for a good touring speed and I covered thousands of miles of comfortable motoring in this distinctive car, before selling it to Daimler enthusiast Dave Philpot. The rear trunk was fixed and provided good storage space, I spent many hours re-building the trunk which was originally much smaller and of little practical use. The car would have been fitted, when new, with a single owl eye type rear lamp, the modified system incorporated flashing indicators. 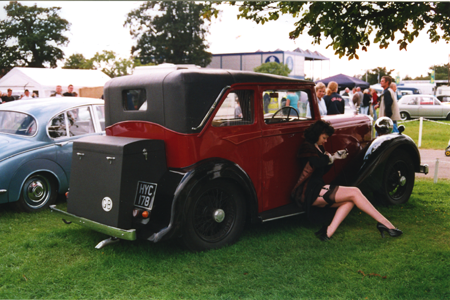 The Daimler had a fixed head, with dummy pram irons, the rather square rear treatment suited the car and it attracted a lot of attention wherever it went. 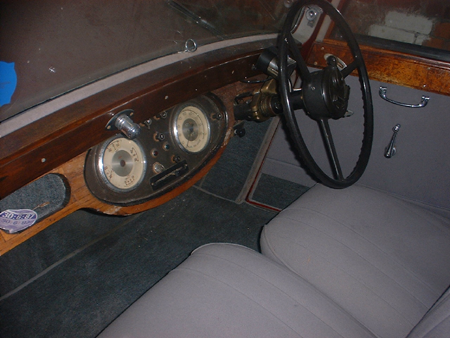 Instruments and panel are from another make, opening screen, steering wheel and centre controls are original E20 fittings. The E20 cruises well at around 50mph with quite a bit more to spare if required, the brakes are rod operated via a Clayton Dewandre servo, this system was a revelation to me, the brakes are very powerful and pulled the car up quickly giving plenty of feel, they work better than those fitted to some modern cars. Motorway journeys were tiresome, the relative low gearing being ideally suited to the roads for which it was intended, the A and B roads. 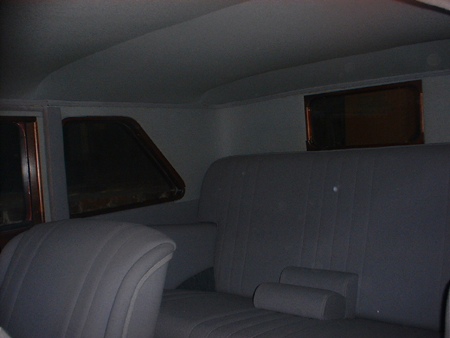 The coupe had been re-upholstered in grey Bedford cord, it would probably have had a leather finish when new, the cord suited it well. The E20 has a beam front axle with ‘cart springs’ to the rear, the steering is very good, although a little heavy at parking speeds. An excellent touring car, but one that needs to be ‘driven’, if you like to drive with one hand on the wheel with the other out of the window, these cars will not suit, (in fact few large pre war cars will), they demand more attention than the post war models. 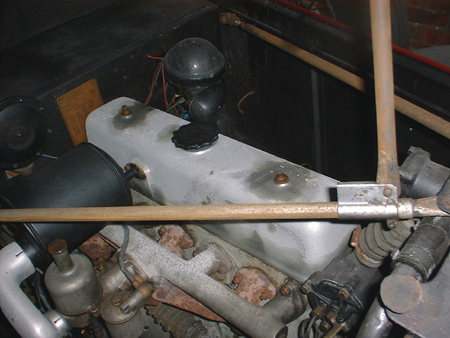 The E20 has a six cylinder ohv engine with non detachable cylinder head, the single SU feeds the engine via an exhaust heated inlet manifold (hotspot), the carburettor has an automatic choke mechanism (which is often replaced with a modified manual system). The engine has plenty of torque and is smooth and powerful, yet quiet and unobtrusive, the non detachable cylinder head is not a handicap, the cylinder block can be easily removed and may be carried by one man, I have lifted heavier cylinder heads. The cylinder block is fitted with numerous internal core plugs, these should ideally be replaced with threaded bronze ones at rebuild time, to eliminate the possibility of a failure of the knock in type. If you are viewing one of these cars to buy, make sure you check the dipstick for water in the sump. The chassis of this model is robust but check the lattice sections which reinforce the U shape channels, particularly near the radiator, where a long term leak will cause problems on an otherwise good chassis, easily repairable but some dismantling required to provide access. Daimlers’ own bodies are handsome, the chassis was available for outside coachwork and some lovely examples exist. If you buy one of these cars you will be in an exclusive set, and will rarely encounter another, even at Daimler and Lanchester Owners’ Club events. Restoration costs are naturally high, once again buy a good one, unless you enjoy the challenge of restoration. If you would like to know more about the Daimler E20 please contact me by submitting the form below.